When it comes to driving profit and growth through strategic innovation, David has years of experience and runs on the board in delivering on such targets for his clients. David is described by most people who have met him, as a lateral and creative thinker with an optimistic and positive approach to finding new ways to grow and prosper. David’s fresh approach and critical analysis has enabled him and his team to find new solutions to the many challenges faced in the current economic climate. It is not about size but about solving the customers’ problems. David has driven change in large multinationals in transport and media through to Government integration and modernisation projects through to small businesses and mutuals/co-operatives. No matter the size the key always comes back to solving the customers’ problems. 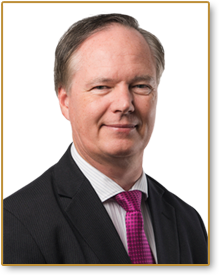 As a confidential advisor David has supported and mentored CEOs in delivering on their targets through strategic innovation. 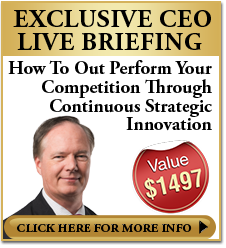 Our role is to support CEOs in becoming strong innovation leaders that can provide the continuous innovation process without us. 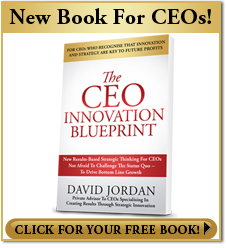 David wrote “The CEO Innovation Blueprint” and created a framework to assist CEOs in reversing a disturbing trend of innovation strategies failing to deliver on profit and growth expectations. 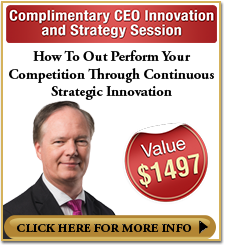 David, as an award winning innovation thought leader is now a sought after speaker and advisor in rethinking innovation strategy and delivering profit and growth in a challenging economy. Copyright © 2019 David Jordan. All Rights Reserved.